I am white, male, straight, well-educated, well-off, able-bodied, etc. – in the “up” position in virtually every category. How can I possibly relate to the Black experience of discrimination? In the late 70’s/early 80’s, I worked for the Catholic Diocese of Rochester. I was one of a few lay people heading a department in the Diocesan structure. I experienced first-hand the blatant and entrenched clericalism and paternalism that is rampant in this Church, and witnessed the sexism as well. I pushed back, argued, and advocated for six years. I often felt frustrated, angry, powerless. And most importantly: I COULD LEAVE!! And so I did. What if I couldn’t leave? Black people cannot “leave”. They live perpetually in a society in which whiteness is supreme (that is, white supremacy). They experience and witness all those injustices without the option of shaking the dust from their feet and moving on, moving out. I recall many attempts to explain to a priest or bishop how clericalism and paternalism robbed lay people of dignity and power. I would bristle when those protests were met with defensiveness, denial or patronizing dismissal. I especially recall those protests being minimized because they sensed anger in my tone. I tasted the aggravation of righteous anger being met with tone-policing. Rarely did I encounter a priest with the emotional maturity to listen to what I was saying without reactivity, to listen beyond the perceived tone. All this to say: When Black people speak with boldness, clarity and righteous anger, we need to check the impulse to critique HOW they protest and hear WHY they protest. This is not to condone violence, nor character assassination, nor hyperbolic representations of reality. I also understand that for those who have been victims of angry power people in their lives there may be a need to screen, to be selective, and at times to disconnect. These are all examples of the dynamic Dr. Robin DiAngelo has termed “White Fragility”. They allow us to divert attention from the cause of the protest to the manner of delivery. They provide cover, obfuscation, defenses that ultimately protect systemic injustice. A recent example of this defense is the reaction to the protests initially launched by the NFL’s Colin Kaepernick – taking a knee during the National Anthem. This was originally suggested to him by a white serviceman as an alternative to simply sitting on the bench. But “patriotic zeal” provided the perfect cover for many white folks to condemn the protest. By focusing national attention on HOW he protested, the much more challenging conversation was avoided: WHY he protested. He cites a practice he has used to strengthen his ability to remain in contentious conversations: rather than continually tuning into commentators and sources that reflect his own views, he frequently listens to or watches media sources that promote opposite views. He practices listening. Even when there is a rant coming at him, he remains engaged, attempting to capture the gist of the message, testing for possible agreement vs. reactive dismissal. He is literally training himself to a higher level of responsibility for his own emotional triggers. Of course, this same self-discipline is relevant in every other area of our lives – family, work, organizations, etc. In race relations, however, the lack of this discipline has been a core element in the continuation of systemic injustice. Emotional maturity. Reduced reactivity. Increased curiosity. Then action. Always action! Book: “Beyond the Messy Truth: How We Came Apart; How We Come Together” Van Jones. He praises and challenges Americans both on the conservative and progressive ends of the spectrum. Discussion: “Understanding White Privilege: Conversation in the Community Room” Mon. Dec. 17 6:30 – 8:30. 540 W. Main St.
Thurs. Dec. 20, 6:00 130 W. Broad St.: Attend a Roch. City School District School Board meeting in order to get some glimpse at how this system works (or fails to work), and to support the importance of community involvement. Tues. Dec. 18, 6:30 – 7:30, Important City Council meeting re Police Accountability Board proposal. Show up and learn more about the issue. Excellent article, Frank. I especially like your term “tone policing”. I have often heard from white folks, “I don’t like being yelled at”. That’s the sort of response that allows them to dismiss the message. Absolutely, Joe. Thanks for weighing in. I am grateful to be new in the loop. I will be indirectly trained to be sensitive to the people who long for a listener. I feel restrained in a way as a deaf Catholic; therefore, I can blow my top off without thinking sanely at times. Thank you again for creating your blog. Patrick, welcome to the conversation! Excellent piece Frank. I especially liked to “Catholic” examples. Unaddressed misogyny is what finally drove me from that church. 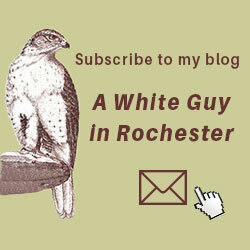 I would like to add that your post applies to any person of color. And how often the “hurt” pops up with people who say they are dedicated to fighting racism. I am convinced after several years of doing this work that our need to feel good can easily top our desire for change. We love to talk and we need our comfort. Thanks for replying, Pat. I especially appreciate your perspective given your knowledge about our shared whiteness. An excellent posting, Frank. Thank you so much. Thanks, Frank. In my own experience with difficult, even contentious discussions, I’ve also tried to adopt an approach that reflects an open, inquisitive attitude, like an effective journalist e.g asking open-ended questions, listening then reflecting…”Let me see if understand your point “. Doesn’t always work but it helps me at least keep the focus on the other person or persons while reducing my own emotional reactivity. Also, your Catholic Church example is a good one as it reflects entrenched power dynamics that are self-serving. History shows that the entwining of religion, political and economic power has been and continues to be a major factor in wielding racism as a weapon to maintain that power, pitting people who should be allies against each other. Amen to all that, Bob. What struck me most in writing this is how my experience of discrimination utterly pales in comparison. Your example of Catholic lay people and the church hierarchy is a great example for me for insight into the frustration and anger of black people for the structure that supports racism. I know as someone close to Catholic nuns how hurtful the priests and bishops are to them. Thank you for this sharing. Agreed, Tom, thanks. And again, the circumstances pale in comparison.